I don't know about you, but I spend a majority of the Summer in a beach cover up! What I've recently discovered is that coverups don't have to be always purchased in the swimwear section! I prefer to find cute Summer dresses that can double up as a cover up! LOL Here are my top 3 favorites for Summer 2018! 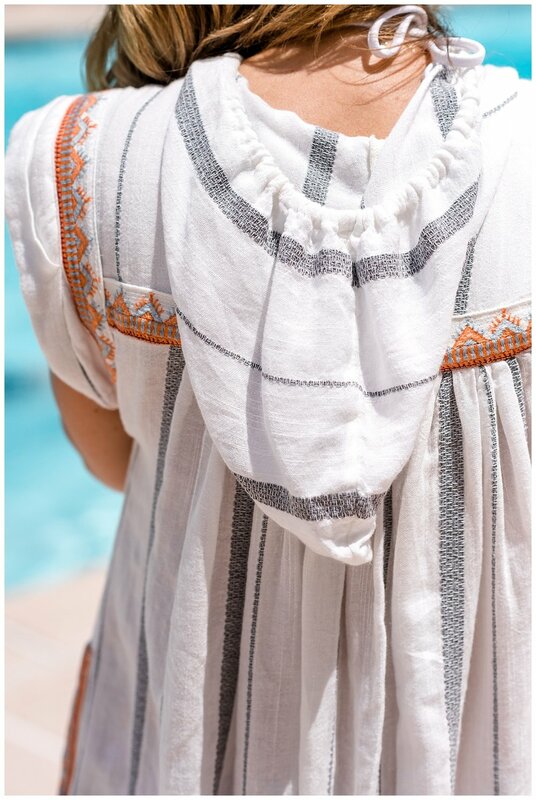 Free People is the PERFECT place to find beach cover ups! I love the bohemian feel of their dresses and this one in particular has pockets and a hood! Accessories: fedora and sandals from Target! I recently discovered the brand Poupette St. Barth and I am in LOVE! They have the cutest dresses and rompers. Here's another amazing beach cover up! Accessories: Avec Le Filles white slides (on sale) and a My Other Bag tote (similar).